Disneyland is a place where we love in indulge ourselves. While buying food at Disneyland tends to get expensive, it's also incredibly good, and so whether you schedule reservations for dinner at the Napa Rose or just eat your weight in churros, food is as much a part of the Disneyland experience as anything. However, with Star Wars: Galaxy's Edge about to open, and insane lines expected from day one, guests might have been afraid to drink gallons of blue milk, so as not to have to worry about bathroom runs while standing in line for Millennium Falcon: Smuggler's Run. However, you won't need to choose because Disneyland will be providing bathroom passes for those in line at the new land. It's also all the more important as Disneyland will apparently make snacks and drinks available for purchase to people standing in line. The queues for both new E-ticket attractions will also be designed with interesting things for guests to look at and interact with to keep guests' attention as a way to make the prolonged waits a little easier to deal with. Although, Disney has yet to reveal much about exactly what the queues will include. A collection of app based games that are only available while inside Galaxy's Edge will also be playable for guests to keep them busy while in line. In actuality, according to People, hopping out of line to use the bathroom has always been an option at Disney Parks, though it's not something that the parks have made much a point to publicize. Still, it's good to know for sure that the option will be available when Star Wars: Galaxy's Edge opens, as it's likely to be even more important. Galaxy's Edge will be the first place the public can purchase alcohol at Disneyland, so the restrooms will probably be getting more a workout than ever before. Star Wars; Galaxy's Edge is set to open at Disneyland in less than two months. The crowds might not be quite as insane on opening day as anticipated, because for the first three weeks after opening the land will require reservations to enter. Still, one certainly expects that nearly everybody who can get into the land will be making their way to the Millennium Falcon attraction first. The Rise of the Resistance attraction won't be available on opening day, which means the crowds won't even be broken up between the two attractions and the line for Smuggler's Run will be even longer than expected until the second attraction opens. That will happen later this year, though an exact date is unknown. So the good news is you can drink as much blue or green milk as you want an you won't need to worry about losing your place in line. 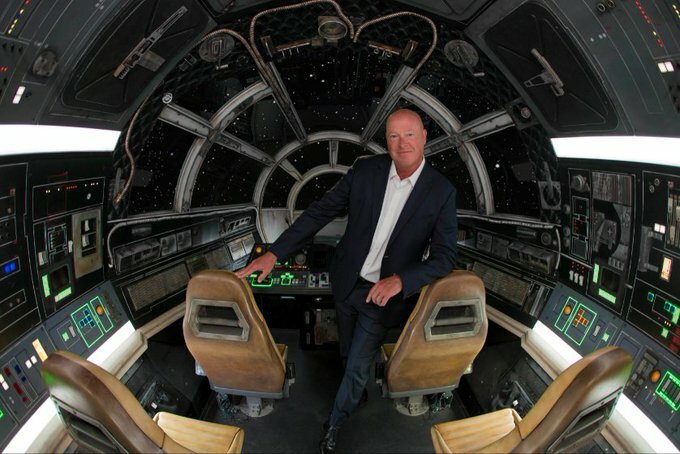 Star Wars: Galaxy's Edge opens at Disneyland May 31 and at Disney's Hollywood Studios at Walt Disney World August 29.